This video is so adorable, we’re afraid it’s beyond description! 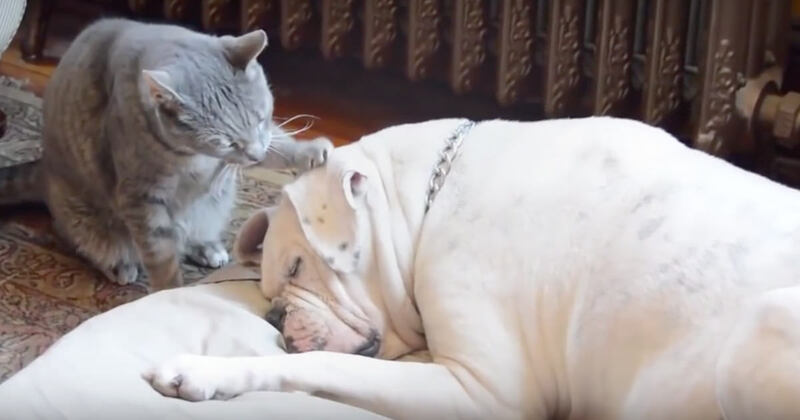 You have to just sit back, enjoy the lovely music and watch this beautiful cat try to wake up a sleeping Bulldog. If you thought this video was cute, please share it with your family and friends.